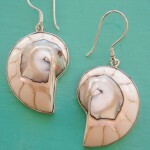 SKU: SC RG77 WT. 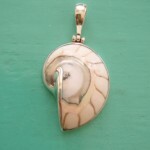 Categories: Nautilus, Rings. 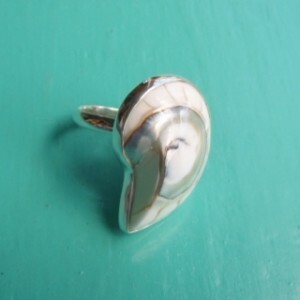 Just perfect to accompany your summer outfit, this Nautilus Ring white is exquisite. 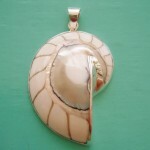 Worn on its own or teamed up with the matching Pendant and earrings, the phenomenal natural Nautilus Spiral from the Nautilus seashell is sure to cause a stir in any gathering. 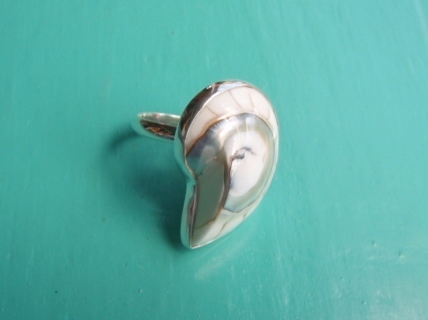 Set in Sterling Silver and adjustable the Nautilus Ring is a real statement.